On behalf of Tracey Briles of Briles Law Group posted in Workplace Injuries on Monday, September 15, 2014. If you've ever suffered a work-related injury then you know what goes into the process of documenting and reporting an accident. It's an oftentimes laborious process that includes numerous questions about the injury and how it occurred. Despite the tedious nature of these questions, they serve a two-fold purpose: establish eligibility for workers' compensation benefits and whether an OSHA investigation is necessary. On behalf of Tracey Briles of Briles Law Group posted in Workplace Injuries on Tuesday, September 2, 2014. Did you know that hearing loss is the most common workplace injury to occur in the United States? Roughly 22 million workers are exposed to high noise levels, often suffering serious injuries to their inner ears and experiencing minor or even complete hearing loss. Why do CA Workers' Compensation Insurers Deny Doctors' Recommended Medical Treatment? On behalf of Tracey Briles of Briles Law Group posted in Workers' Compensation on Tuesday, September 2, 2014. Today, CAAA releases the second infographic in our series comparing medical care, UR, IMR, amount spent on overhead and other measures of quality patient care in group health vs. workers' compensation insurance. 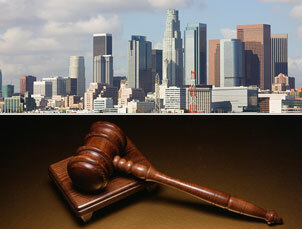 California's workers' compensation insurance system suffers in comparison. There are problems with group health insurance, but they are nothing compared to California workers' compensation insurance. Today, we continue the comparison by showing the avalanche of Utilization Review (UR) denials in workers' compensation - more than 1,748 times that of group health, for 15 million fewer patients! We know that this unjustified constant denial by UR is a concerted effort by insurers to delay and deny paying for doctors' recommended medical care.